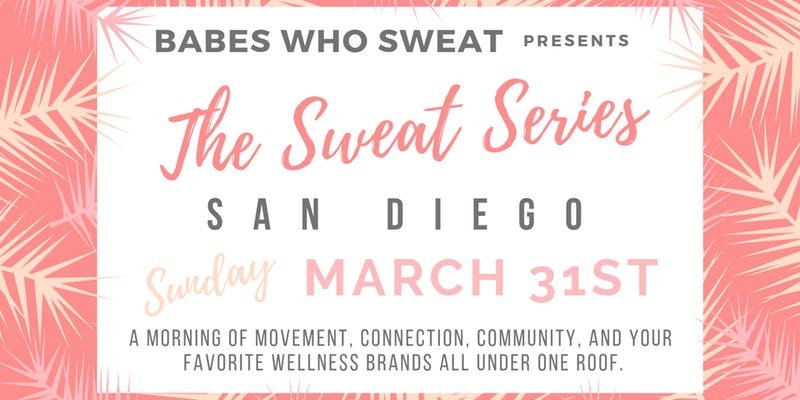 Join us Sunday, March 31st for a morning of movement, connection, commiunity, and your favorite wellness brands all under one roof! This year we will have 2 SESSIONS so even more of you babes can participate! Last year we sold our so fast and hated having to turn some of you babes away. So this year we will be able to sweat with 160 of you! Each session will start off with a 90 minute workout lead by 3 different instructors. Then we'll head downstairs to celebrate our morning of movement with a wellness-based happy hour for you to meet and mingle with our amazing vendors and each other!! All attendees will get a carefully curated SWEAT BAG (aka our goodie bags) full of up + coming wellness products as well as some of our tried + true favorites worth well over $100!